Must Read Monday: Reader’s Choice & a GIVEAWAY!!!!! 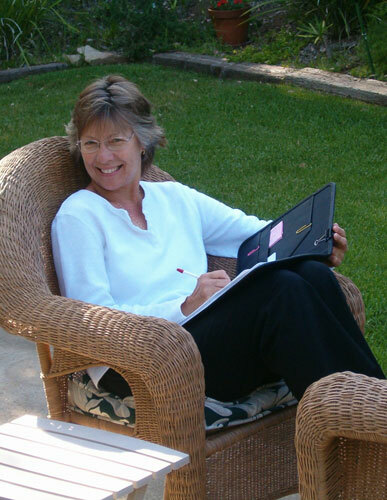 Each Monday I post a book review, or I invite a guest to stop by for you to meet. Today, I want to know what you like to read. Right now, I’m reading Judge & Jury by James Patterson. Yes, I read ABA fiction, also called “secular” fiction by some Christians. I read anything, really. There’s differing opinions on this subject. Some people would say there’s so much great inspirational fiction, why would you want to read anything out of the CBA market? We need to support Christian writers. I agree with this. We do need to support Christian writers and there is ton of great inspirational fiction. But, there are Christians who do not write for the CBA market. So are we supporting CBA or Christian writers? I think we can do both! I don’t know what James Patterson’s religious beliefs are, but his books do have some foul language and occasionally, depending on what book it is, he drops the “f” bomb. I completely understand why some Christians would not want to read his stuff. You have to go with what your convictions are. Maybe I’m just a rotten Christian with no convictions. Although, there are some inspirational novels that do occasionally use some four-letter words. I personally have never read any that drop the “f” bomb. Maybe you have. I think as a writer I can learn as much from Patterson or Kellerman (Faye and Jonathan) as I can Steven James, whose books cross both markets, (I read this somewhere so if it’s not accurate, please don’t yell at me) and he happens to be one of my favorite authors. Man, he’s good! Now, I don’t read Erotica, fyi, I do have my limits. So maybe I’m not a rotten Christian after all and have some convictions. 🙂 My point is, I’m reading Patterson right now. My next book will be a Lynette Eason novel (inspirational). I’ve never read her before, and I look forward to jumping into one of her stories on my kindle. Question: Do you read inspirational fiction only or do you cross over and read books in other markets? Why or why not? I’d love to hear your input! Also, how do you feel about swear words in inspirational fiction? Posted in UncategorizedTagged ABA market, CBA market, christian fiction, desert gift, James Patterson, Lynette Eason, sally john, Steven James, writing17 Comments on Must Read Monday: Reader’s Choice & a GIVEAWAY!!!!! Those words rang in Jillian Galloway’s ears all the way to the airport and to California where she was supposed to speak to hundreds of adoring fans. But how do you promote your new book about commnunicating in marriage and keeping your man when yours just asked for a divorce out of the blue? 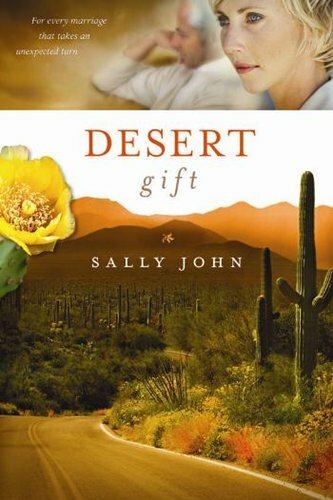 Desert gift, release date in June, is written by Sally John. It’s the story of Jillian Galloway. A woman who’s built a career–a ministry–on the perfect marriage, using her husband and all they go through as lab experiments. One day, he has enough of it. It takes her going back to where she grew up, to the desert in California, to learn some hard lessons about marriage and herself. There is no formula for marriage. A + B does not always = C. God is the heartbeart of marriage, that’s the only solid and He wants us to love him and feel His heartbeat first. Sally did a great job of showing what went wrong in their marriage. Jill does everything by the book and plans everything, but hasn’t really been in the marriage. Jack Galloway, her doctor husband, is a wonderful guy, but he’s sick of being a guinea pig. He wants to be a husband. My favorite characters were Jill’s sister, Vivian and her husband Marty. Jilllian abhors their marriage. She doesn’t think it fits the formula, but though they’ve had major hits in their marriage, they have a better handle on one than the “expert.” One of my favorite parts is when Marty tells Jillian, “Sometimes we even curse…okay sometimes I curse.” But it gets deeper and Jillian asks Marty, “How does Viv keep you from leaving her? I want to thank Tyndale for the complimentary copy. I will read more of Sally John in the future. “When you’re at the top . . . you’ve got a long way to fall. A nationally known marriage expert, Jillian Galloway is at the pinnacle of success. Her syndicated talk radio show is a hit and her first book is about to release. But just as she’s leaving for her West Coast publicity tour, Jill’s faithful husband of twenty-four years drops a bombshell: he wants a divorce. As her world crashes down around her, Jill flees to her parents’ home in the California desert, wondering if everything she’s built her career on—and everything she’s built her life around—is a sham. She thought she’d done everything right. So how did her marriage slowly slip away? And will she ever get it back? What are you reading right now, and tell me what you did for Mother’s Day if anything?